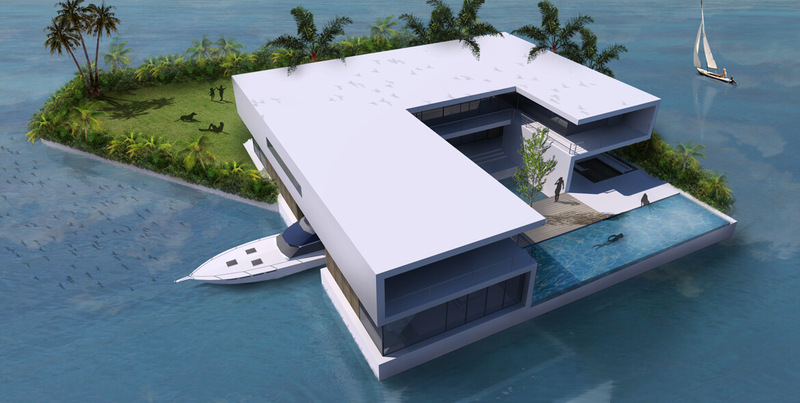 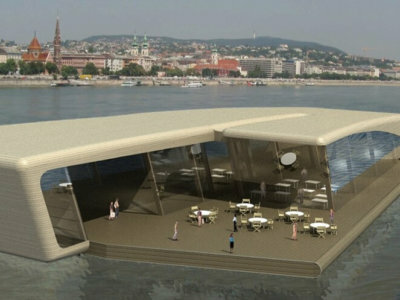 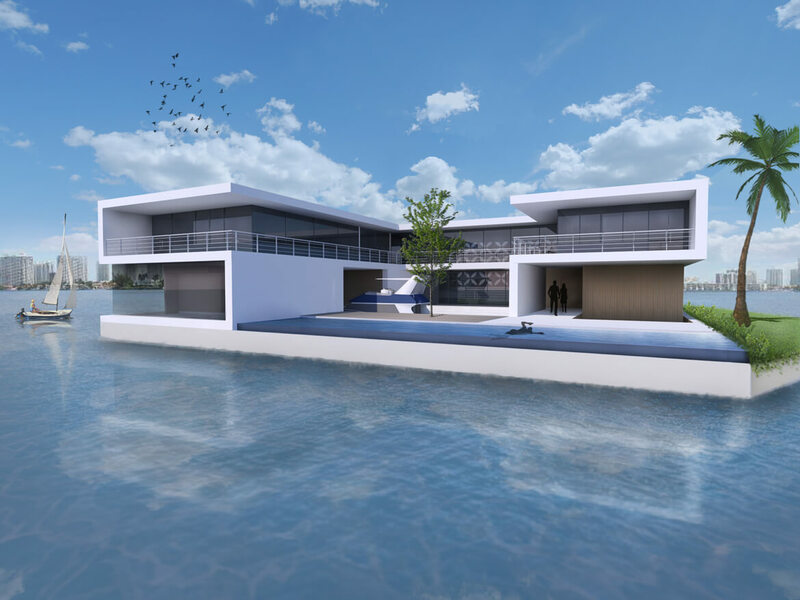 This floating private island is designed for Miami. 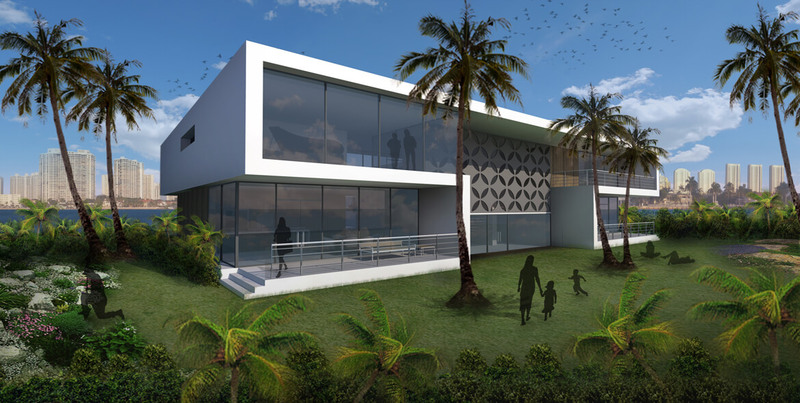 The villa has a modern appearance. 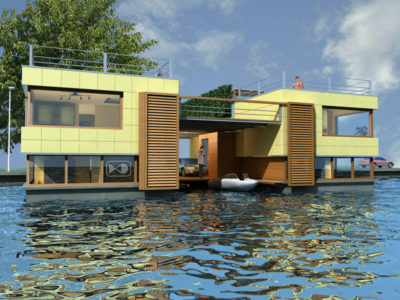 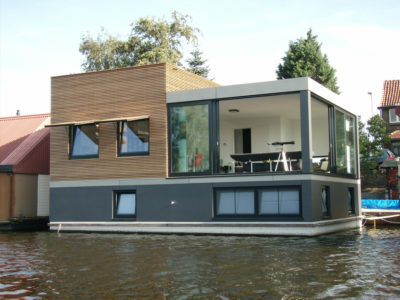 A yaght can be moored inside the island by an opening in the façade of the villa. 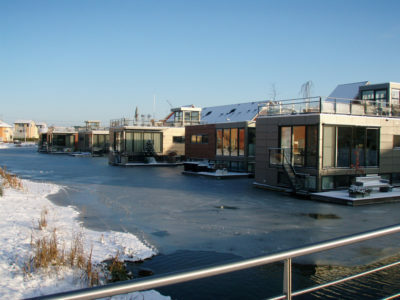 Besides a big garden the island also has a pool with water view.